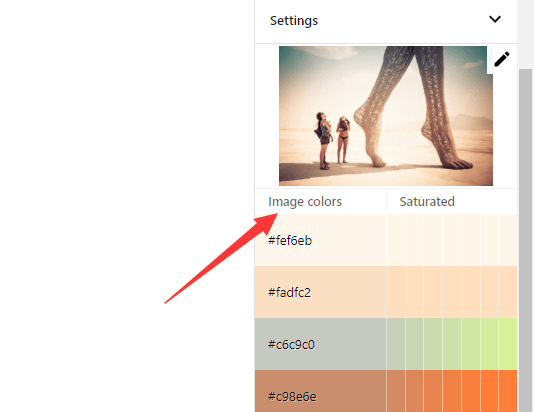 The Image Color Palette is a Gutenberg plugin that lets you create a color palette based on the colors of an image. Click the color block to copy the selected color code into your clipboard. 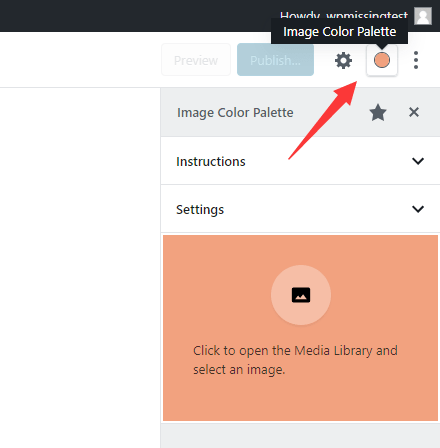 You can specify the number of colors from the image to show in the palette. 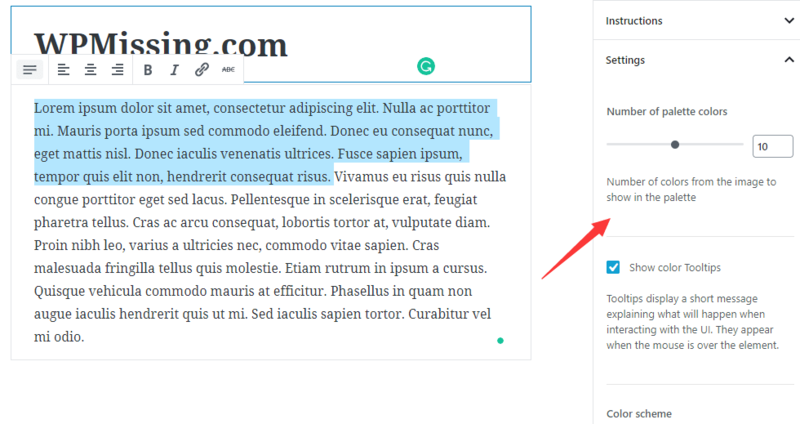 Also provides a tooltip option that displays a short message explaining what will happen when interacting with the UI. It appears when the mouse is over the element. 1. Download the plugin and upload the zip on the ‘Add Plugins’ page. 2. 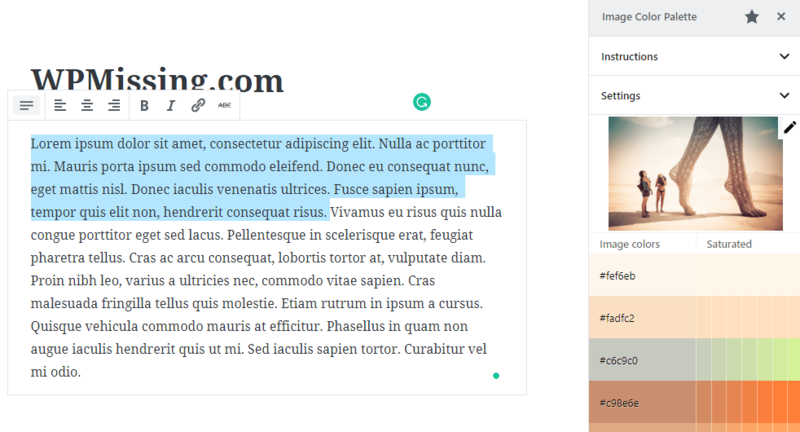 Install and Activate the plugin after the Gutenberg editor is activated. 3. Click the button and select an image from the Media Library. 4. A palette of colors should appear below the image. Click any color and it will be copied to the clipboard. 5. Once copied to the clipboard (in HEX format) the color can be pasted in the color picker of any block. 6. Set the number of colors to generate and determine whether or not to show the tooltips.